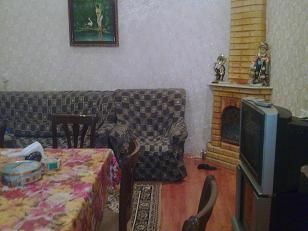 Our friendly family run hostel is located in the very centre of Baku, in the beautiful Old Town, 300 meters from the sea. We have an eight-bed dorm and a double-bed in a separate room, however, please note it is not private, as some people expected.There is also a kitchen and separate bathroom with shower and all rooms are kept clean and tidy for you.Internet/wi-fi is available from the balcony.Next to the hostel there is a bus stop and and a metro station just outside the city walls. The hostel is located next to the Meridian Hotel in the Old Town. If you are in front of the hotel take the small passage on the left of the Meridian - our hostel is just 30 meters on the left, second door on the right, on the first floor.from the airport:the most straightforward way is to take a taxi. this should cost 20 new manat or around 24 USD (sometimes it may be called 10 shirvan or 10,000 old manat). it is better to negotiate this before you enter the taxi.get the taxi driver to take you to the old city (icheri sheher) and drop you in front of the meridian hotel. then1. As you face the Meridian Hotel take the alley directly to the left.2. Walk for 25 metres and take the third door you see on the left - it is a light blue colour and last door in the alley.3. On the ground floor directly in front of this entrance there is a door surrounded by a pink wall.4. 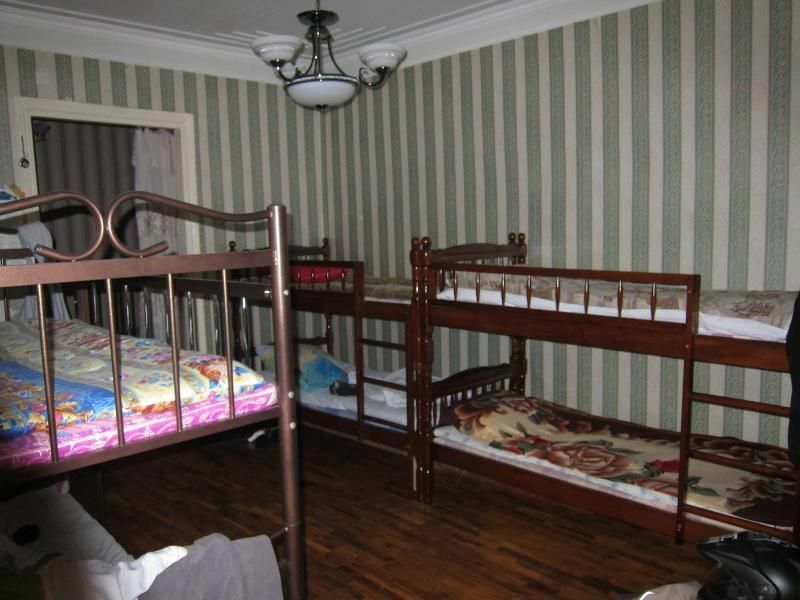 This is the hostel. There is a little camel picture on the door.from the bus station:you will most likely be dropped off at the main avtovag, relatively near 20 Janvar metro station. depending on the time of day and the size of your bag, you could either take a taxi (around 6 manat, see above for directions) or take the metro by exiting the bus terminal, turning around to face the velotrek complex, and walking to the other side of the complex to find the metro entrance (see below instructions for coming by metro).by metro:the metro is an extraordinarily cheap way of getting around the city, but may be difficult to negotiate for someone new to baku who doesn't speak russian or turkish/azeri.to use the metro, buy a card for 2 manat and put a bit of money on it (don't go overboard each trip is only 5 qepik, so you get 20 trips to a manat). then, take the metro to baki soveti. on some parts of the lines, trains alternate in destination, so either make sure you get the baki soveti train, or change at the 28 May station.once you get out of baki soveti, turn right and right again, to face the city walls. go through the gateway, then turn right and follow the wall until you reach an old hammam sunken into the ground. turn left in front of the hammam and walk keeping the british council building to your left. Keep going straight forward and you will reach little square. Here on your left you will see relatively bigger building of Hotel Meridian. Then1. As you face the Meridian Hotel take the alley directly to the left.2. Walk for 25 metres and take the third door you see on the left - it is a light blue colour and last door in the alley.3. On the ground floor directly in front of this entrance there is a door surrounded by a pink wall.4. 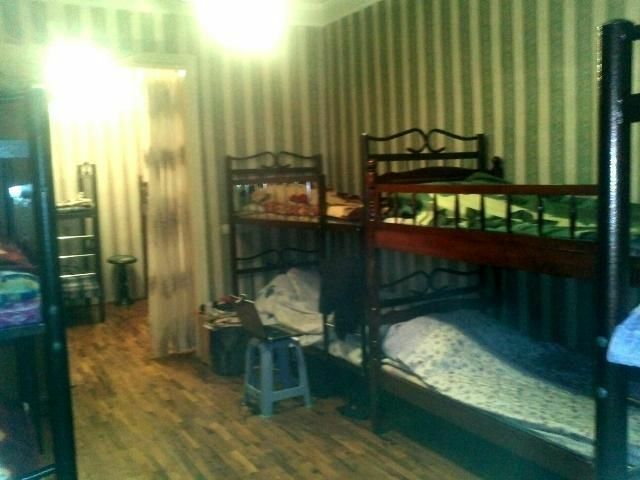 This is the hostel. There is a little camel picture on the door.from the ferry:make your way to the old city along neftchiler - the main street adjacent to the boulevard. the easiest way to find the right entrance is to go to azneft square (see maps below) then take the first entrance to the old city, which will place you in front of the meridian hotel. then follow the 'from the airport' instructions.